Friends! Let me greet you for having interest in such a wonderful profile of IT, Oracle DBA. More the Knowledge you have, more the Experience you will gain! More the Experience you will have, more the Respect you will earn! Respect will motivate you for great career ahead!! 1. Why to become DBA? 2. Why to become Oracle DBA? 3. Who can become Oracle DBA? 4. What is Oracle Database? 5. How to become Oracle DBA? 6. Responsibility of an Oracle DBA? 7. Life of an Oracle DBA? 10. Becoming Master of Oracle DBA? Database Technologies are surrounded by multiple layers & Database remains at central (although known as a backend). I said database is central because (Application > Web > Database < Server < Storage). DBA is known as a whole & soul for Managing the Database, although Sys/Storage/Backup Admin will be supporting you. It feels very proud to be a DBA whose database is the heart of a critical application for a Business. DBA has lots of technical activities to be performed in order to keep the Database up & running, perfection in any of these activities can make you the expert of it. What is oracle database ? A question on every beginner's mind . 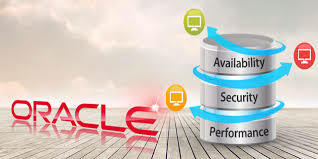 Following link will take you through basic architecture of oracle database , well explained along with background processes and memory components. What is oracle database ? 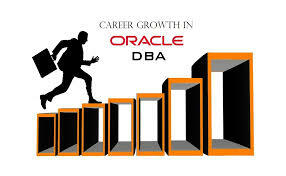 Before you take initial step in Oracle DBA carrier, you should have strong belief in your decision without any doubts. Should be passionate to learn/experiment all kinds of oracle database technology you will come across. 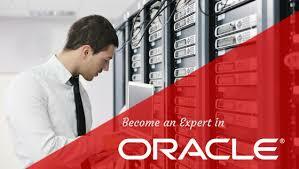 To become a knowledgeable Oracle DBA you need to achieve various proficiencies in the form of certifications. Certification is an oracle organized education program which allows us to prepare & apply for exams build on core oracle database concepts. It will take at-least 2-3 years for you to clear all exams t ill OCE. OCM is the most difficult exam with vast syllabus & cost also. Book & oracle doc reading for certification preparation (rather than referring only question/answers) will help you throughout the carrier not only in to attain proficiency but also in getting a job in a reputed organization. T roubleshooting & advance topics need strong base which can be achieved by only honest learning & practice. Apart from certification you should have good experience & it doesn’t always require hands on project . A simple testing/experiment on your personnel machine of any Oracle database topic can make you expertise of it. An advice , start preparing for oracle certification (OCA) within a week after finishing your final semester of graduation , so that before the result arrives ( a month or two) you can have atleast an enough experience/knowledge of oracle administration to attend the interviews. Clearing atleast one exam before the final semester result will leave good impression in interview & you will not be considered as fresher at all (could be Trainee/Jr. DBA). xvi. Advance Database Deployment: Deployment High availability architecture like Real Application Cluster, Replications like Data Guard, Streaming etc. xvii. Database Troubleshooting: Troubleshooting Database in crisis such as ORA- errors, sudden db instance crash etc. You may miss celebrating your anniversary, b ’day or other social occasions if did not planned you activities in advance. However in severity 1 database issues planning would also not help! Do refer common mistakes by DBA ..
Oracle DBA is the most dependable role in the team & continuous learning will help you to come out of all kind of difficult situations like Job Loss (Pink Slip), Promotion Delays , Rating etc. - Keep yourself updated with latest certification related to performance tuning, security etc. Last Few Words :"Sweat in peace saves blood in war"
Practice as mush as you can before any production deployment to make it perfect ! I wish I had read this article in 2005. It is very good blog.I am also looking for this from a long time.Many people like to visit here.I have seen many things over here.It is very good. Awesome info to the beginners who wish to choose oracle as their career. Thx for sharing your expertise.